Suggested by Sonic DK is a pretty strong fighter who definitely knows how to play the drums pretty well. I don’t think that he is the kind of guy that you want to underestimate. That being said, Kirby has absorbed many different abilities over the years including barriers and energy blasts. 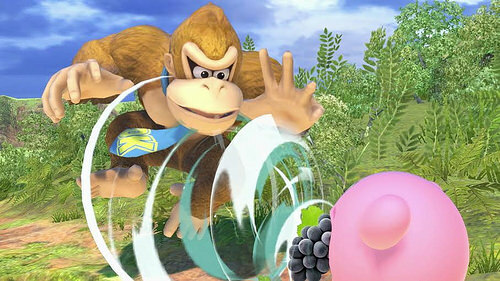 I don’t see DK being able to get past all of that and he is too slow to stop Kirby from controlling the pace in this fight. Kirby wins. This entry was posted in Battles, DK Battles, Kirby Battles and tagged DK, Kirby by dreager1. Bookmark the permalink.